Decorative Landscaping rock in Salt Lake City and Ogden, Utah: Where to buy and how to install. 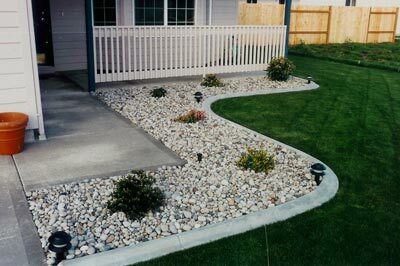 Decorative landscaping rock in Salt Lake City and Ogden, Utah. Where to buy and how to install. Adding decorative landscaping rock will increase the texture and colors of your landscape, while decreasing the maintenance required by grass, plants or shrubs. Landscaping should still incorporate living elements like grass and plants by developing walkways and rock gardens have decreased the maintenance of your landscape. Utah landscaping rock can give you quotes on our rocks, delivery and ideas on how to develop a beautiful landscaping for your home or office. Boulder can also add depth and contrast to your yard. Colors of decorative landscaping rock have a wide variety from purples, pinks, natural browns, and Grace. The possibilities are really endless. If you would like to request a quote for landscaping please contact us at 435-250-0001. Decorative Landscaping rock how to buy in Utah. Do you search on the internet. I don”t know how you are but I look for everything on the internet. Look for rock for sale in utah in no difference. That is why we have made our website easy to look through.